Travel consultant Christian Arteaga has had a lifelong career in tourism. He recently used his wealth of experience to start his own tourism consulting service, providing personalized experiences in Latin America. He shares why he started his company and how the .travel domain is part of the overall marketing strategy. Christian Arteaga: The christianarteaga.travel site is a project that I created to offer my professional tourism consulting services, designing unique travel experiences. I’ve worked in the tourism industry all my life, and have developed an extraordinary network of suppliers and professionals who are now a part of my business. Our network allows us to offer a complete range of services: you name it, we got it. 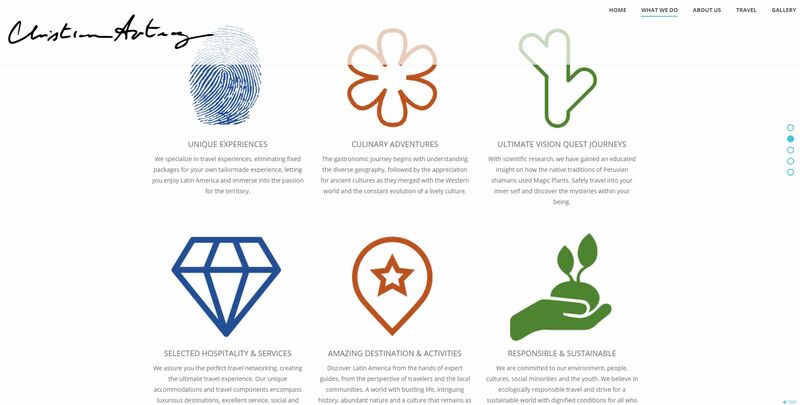 We’re all committed to creating safe and unique experiences in Latin America for our clients. We have a direct tour operation in Peru and we work with local tour operators in the other destinations (Panama, Chile, Argentina, Ecuador, Bolivia). Travel.Domains: What is your business model? 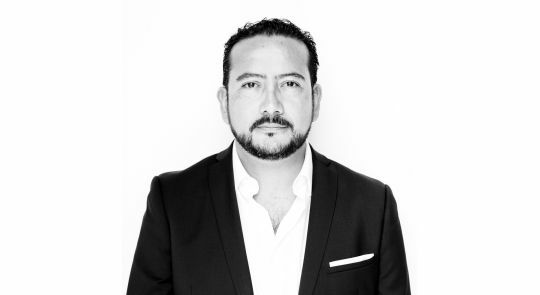 Arteaga: Our business model is focused on consultancy with Christian Arteaga, an expert in designing unique experiences for worldwide tourists visiting Latin America. We do not have fixed packages. Instead, we design personalized experiences based on a preliminary interview with the traveler where we get to know the person, his/her expectations and interests, budget, time, and other details that we consider important to create a unique experience. Of course we could provide options for packages if needed. We’re currently operating in Peru and Panama, primarily connecting with customers through word of mouth referrals. We look forward to expanding into Europe, the United States, Australia, Canada, and Central American Countries. Our target market is the passionate traveler between 27 and 65 years old, and we plan to reach them through Instagram, Twitter, and LinkedIn, as well as investing in SEO and Google Ads. Travel.Domains: What are you known for? What are the services most demanded by your customers? Arteaga: We’re known for our ability to offer designed “signature experiences” to Peru as the main destination, but also to Chile, Bolivia, Ecuador, Argentina, and Panama. Arteaga: We design tailor made travel experiences as travel lovers ourselves, and with the desire to create dreams for our clients. The domain is a direct way to refer to what we do, as it directly expresses our identity. Choosing “.travel” is an important part of our marketing strategy. Travel.Domains: How and when did you discover .travel and decided to use that domain extension? Arteaga: We first learned about “.travel” when creating our domain with Don Dominio. It was one of the options proposed and we immediately chose it as the best for our project. We felt very happy and confident in choosing it and were even more excited when we discovered that there is a whole network behind it. We were very curious about what we can achieve by using this domain. Travel.Domains: Companies and businesses have realized the importance of their digital presence to stay competitive. How has .travel helped you? Arteaga: We only recently started our business, but we have big expectations. As I mentioned before, choosing the domain was a strategic decision and we will work to make the best use of it. Travel.Domains: How .travel has helped you communicate your message or product to your audience? Arteaga: Yes, we would definitely recommend it.